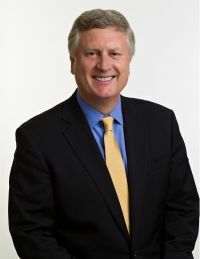 Mark Schwab is Chief Executive Officer of Star Alliance. As the world’s first and most experienced global airline alliance, Star Alliance offers worldwide reach, seamless service and recognition to the international traveller. Schwab earlier held numerous positions at United Airlines, US Airways (where he launched the London operation) and American Airlines. As Senior Vice President Alliances at United, he served on the Management Board of the Star Alliance organisation. He has spent most of his career outside his home country, the United States of America. Schwab has a degree in Latin American Affairs from the University of Virginia, Charlottesville and is fluent in both Spanish and Portuguese. New Year is a time for making wishes, resolutions and turning over a new leaf. For Star Alliance, top of the wish list for 2015 would be that airports across the globe resolve to work directly with their direct customers – the airlines – every time they think of building a new terminal, refurbishing an old one or making other major changes to their ground facilities. In 2014, our flagship project was right here in the UK – the opening of the new Terminal 2, The Queen’s Terminal, at London Heathrow. This brand new, purpose-built facility, which is now home to 23 of our member airlines, offers a far better level of service to the 12 million Star Alliance passengers who travel through Heathrow every year. Customers love it. What lies behind that success? Well, apart from a lot of hard work by a great many people, the close cooperation between the airport company and the airlines which would operate from the new terminal was absolutely fundamental. An unprecedented level of interaction between the Alliance, its members and the airport ensured that the new terminal truly meets the needs of today’s air traveller. As one example, the open-plan check-in hall offers a high level of self-service, allowing customers to take control of their journey right from the outset. After passing through security, passengers come out onto the international departures area which offers a stunning view of the airport operations. Those flying in First Class, Business Class and with Star Alliance Gold status can visit any one of four Star Alliance airline lounges to work or relax before proceeding to the gate for departure. It is a very easy terminal to navigate through. With so many of our member airlines now under the same roof, we can offer a far better connection experience than we have ever been able to offer at Heathrow before, with a standard minimum connection time of 60 minutes for all connections within T2. In 2015, we expect Air India to join us in the new terminal, so that all of the Star Alliance family will finally be in one place at Heathrow. In summary, the terminal is a prime example of the kind of seamless travel experience which Star Alliance is all about, and we are already starting to apply learnings from this project in other major airports across the globe. Overall, Star Alliance now offers 18,500 flights per day to 1,321 destinations in 193 countries. This follows the integration last year of Air India, which added 40 new destinations in India and gave us a strong foothold in the Sub-continent. For 2015, you can expect further expansion for the Alliance in South America with the integration of Avianca Brasil. We will also be working with our member carriers to fine-tune our existing network to offer even more choice to the customer. Many of our member carriers have already announced new routes for 2015. Air Canada for example is starting flights to Amsterdam, Delhi and Dubai. Our Houston hub will see new services to Taipei and Tokyo operated by EVA and ANA respectively and Air New Zealand plans to operate a South Atlantic link between Auckland and Buenos Aires. Nothing would make us happier than to have our customers enjoying every moment of every journey, right from the moment they arrive at their departure airport and we have proved with Heathrow that by working together, we can achieve this… So, please, airports of the world. Get in touch. Talk to us. Let us share the lessons we have learned from other projects, such as Heathrow T2, and to work closely with you to provide a really excellent airport product for our joint customers.